17.05.2017/Kiel. For some time, unicellular benthic organisms from the Indo-Pacific have been spreading in the Mediterranean. An international team of scientists with the participation of the GEOMAR Helmholtz Centre for Ocean Research Kiel has now found evidence that a possible path of invasion has been in the gut of fish. The study was published in the international journal Limnology and Oceanography Letters this week. The mystery of how some invasive species may rapidly invade and spread in the world's oceans without assistance by marine traffic may have been partly solved by a new Mediterranean Sea study. Red Sea rabbitfish invaded the Mediterranean through the Suez Canal in the 20th century. Soon after, more than 60 species of small Red Sea marine animals, known as foraminifera, also invaded the Mediterranean. New research, lead by Tamar Guy-Haim of the Israel Oceanographic and Limnological Research (IOLR) / the GEOMAR Helmholtz Centre for Ocean Research Kiel released in Limnology and Oceanography Letters this week, reveals that the rabbitfish brought the other marine life with them. The research was done in collaboration with Orit Hyams-Kaphzan (Geological Survey of Israel, GSI), Erez Yeruham (IOLR), Ahuva Almogi-Labin (GSI), and James Carlton (Williams College - Mystic Seaport, USA). Although plant-eaters, the rabbitfish accidentally scoop up marine animals from the sea floor while feeding. After feeding and swimming long distances, the fish defecate the live animals that had survived the trip through the fish's digestive system. Fish moving plants and animals − called "ichthyochory," or dispersal of species by fish − has been known in lakes and rivers but hardly from the marine environment. The new study is the first to document fish dispersal as a means of long-distance dispersal of alien species in the ocean. The researchers studied fresh waste from the fish. They found live forams as well as other live marine animals, such as snails, clams, and worms. Museum specimens confirmed that rabbitfish have been eating and moving species for decades. 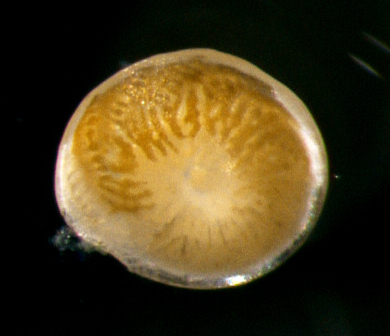 The research team found that the spread of the fish through the Mediterranean matched the timing and sites of the spread of the exotic forams as well. 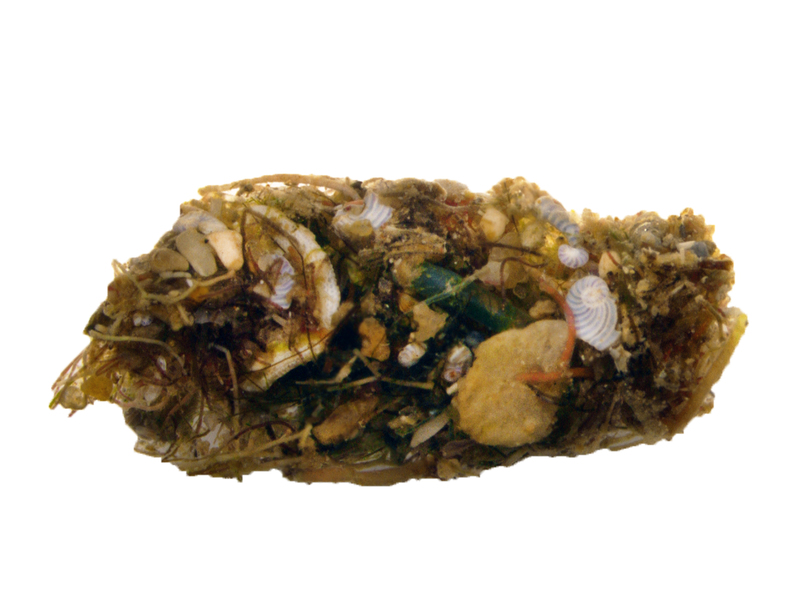 While the marine life in ships' ballast water and attached to ship hulls explains the invasion of many species in the sea, the forams, and similar bottom-dwellers not found in the water or attached to hulls, are believed to be rarely moved by ships. This left a mystery as to how and why so many Red Sea forams successfully invaded the Mediterranean. Bioinvasions, the expansions of species into regions outside their native range, threaten biodiversity and human livelihood worldwide. In the Mediterranean, one species of invasive Red Sea foram now coats rocky reefs by the millions, outcompeting native species, and radically changing the native biodiversity of the sea floor. Warming seas are aiding the alien fish, and many other exotic species, in spreading through the Mediterranean. The newly expanded Suez and Panama Canals, designed to significantly increase ship traffic, will lead to new invasions, including new alien fish that may bring even more species with them.